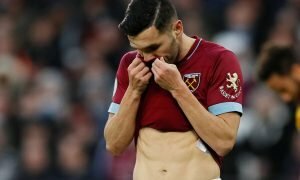 Swoop for South American would afford West Ham the chance to upgrade on Obiang at last | The Transfer Tavern | News, breakdown and analysis on all things football! Every West Ham fan is right now very happy with the summer business conducted around the club so far. Many fans never thought they would see the day that the Hammers spend £35 million on one single player like Felipe Anderson and as well as the Brazilian, six other new faces have arrived at the London Stadium. Times are finally looking brighter in Stratford but their spending shouldn’t stop now as their central-midfielders still need improving. Wilmar Barrios of Colombia was brilliant for his country during their World Cup run and seeing as his valuation marks him at £9 million on Transfermarkt, West Ham seemingly can’t go wrong with signing the bright talent. 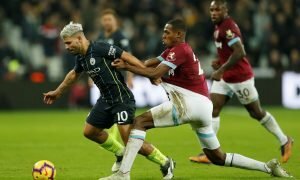 Having reportedly made Pedro Obiang and Cheikhou Kouyate available for transfer should a reasonable offer come in for either, the Hammers need to find a top replacement and Barrios could be just that. He currently plays alongside former Hammers hero Carlos Tevez at Boca Juniors and after seeing his terrier-like performances in the World Cup, the 24-year-old could not only be a replacement but a massive improvement on either Obiang or Kouyate. 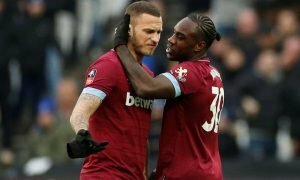 The Hammers will hope that along with fellow new midfielder Jack Wilshere, West Ham’s midfield woes could be forgotten from last season and significantly improved on. Their hard work in the summer could finally allow the promise of European football to be delivered to the fans, something in turn that will turn doubters of the owners into believers once more. If they continue to put their money where their mouth is, Wilmar Barrios is the next man West Ham must look to buy.